Bijou Basin Ranch: #CountdownToOutlander - 6 New Kits! Our #CountdownToOutlander‬ will officially kick off this Friday, March 13 when we release the first of six new Outlander-Inspired patterns & project kits featuring our Outlandish colorways. They're only available at www.bijoubasinranch.com, so make sure you're signed up for our newsletter or follow us on your social media channel of choice so that you don't miss a moment! 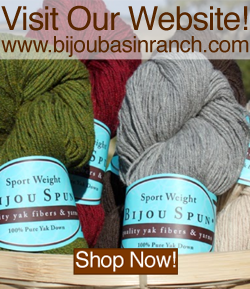 Bijou Basin Ranch can be found on Ravelry, Facebook, Pinterest, Instagram, and Twitter. We look forward to welcoming spring with lots of Outlandish project inspiration! In the mean time, we've also added a new product to our online store which was a hit at Stitches West last month: needle felted yak kits! 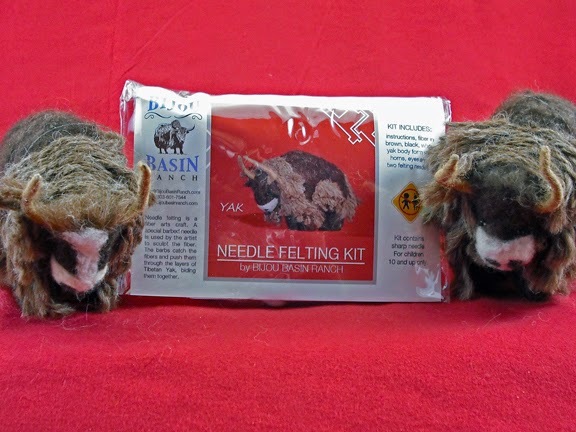 Each kit includes everything you need to make one Tibetan yak which stands approximately 4" tall. There are even detailed instructions suitable for adventurous beginners - no previous needle felting experience required! 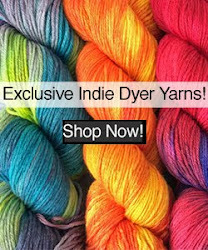 Click here to purchase a kit of your very own in our online store.